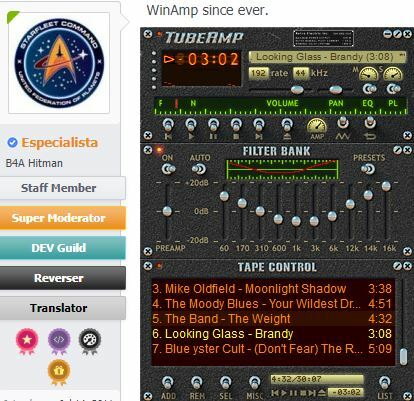 Discussion in 'General Chat' started by sup3xtian, Jan 28, 2019.
Who's still using winamp as their audio player? MusicBee is the one for me! I use audacity and have for years. Switch to mediamonkey. RIP winamp. me. for 10 years. and i love winamp . simple & light . almost always When I work with computers, it's working in the background and playing music. I've never, ever used WinAmp. Even though I have both PotPlayer & VLC installed, good ol' Windows Media Player (with K-Lite codec pack installed) does nicely for all the video & music formats that I watch & listen to. Winamp is still alive. new developer. Golden oldie Win95 days, there were not many alternatives those days! The only one was Cowon JetAudio with its Gold/Silver Skin! Those days WMP was junk and most of nowadays famous players did not exist! Used Winamp for many years with a whole host of different skins but these days I opt for AIMP4.